Xylitol, mannitol, maltodextrin, microcrystalline cellullose, stearic acid, natural spearmint and cherry flavors, silica, croscarmellose sodium.Contains milk. 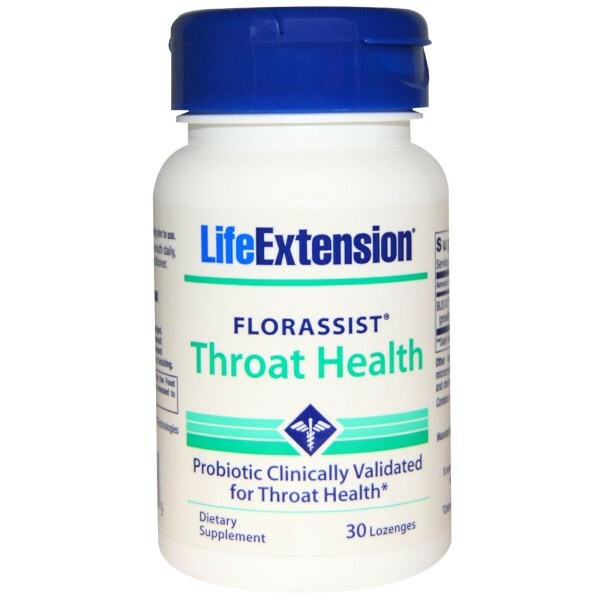 FLORASSIST Throat Health is an oral probiotic that provides novel bacteria to colonize the throat and control harmful, unwanted bacteria. 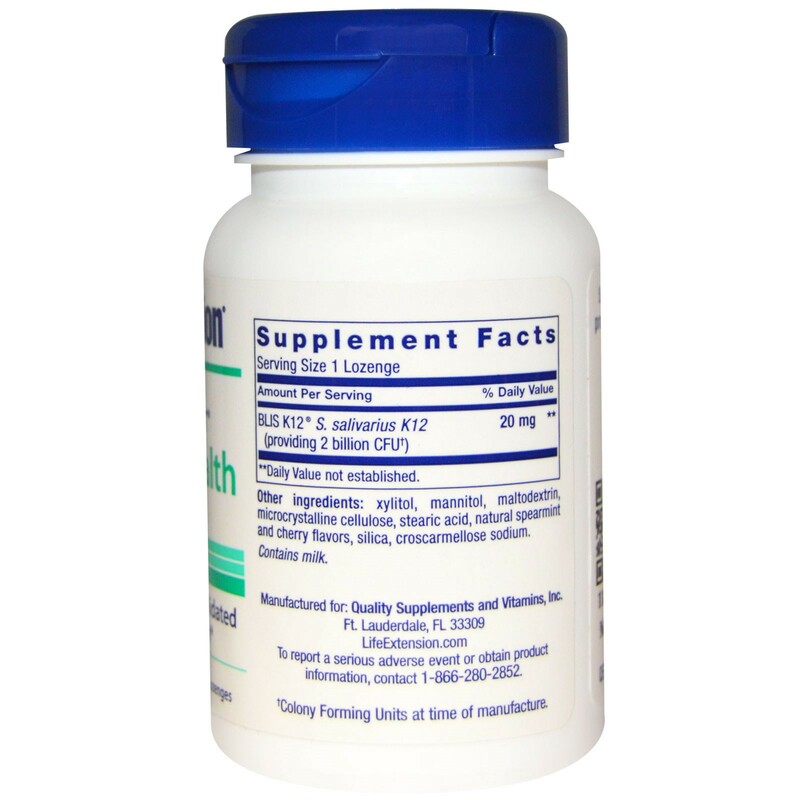 Just one lozenge of FLORASSIST Throat Health contains 20 mg of BLIS K12, a proprietary oral probiotic known as S. salivarius K12, which delivers 2 billion colony-forming units. 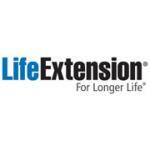 These organisms survive naturally in the throat, maximizing their potential to promote throat health by helping to ease inflammation and inhibit the damage caused by unfavorable organisms that may originate there. 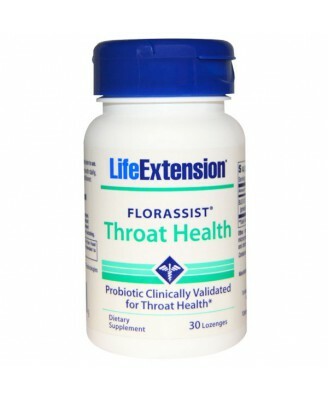 FLORASSIST Throat Health is naturally flavored with spearmint and cherry. And because this strain acts locally in the throat, S. salivarius K12 produces none of the problems related to systemic side effects. Read the entire label and follow the directions carefully prior to use. Directions: Dissolve one (1) lozenge in mouth daily, or as recommended by a healthcare practitioner. Store tightly closed in a cool, dry place. Keep out of reach of children. Do not exceed recommended dose. When using nutritional supplements, please consult with your physician if you are undergoing treatment for a medical condition or if you are pregnant or lactating.